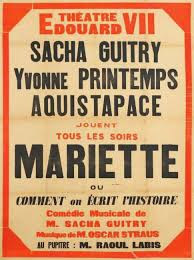 In 1928 Sacha Guitry wrote a delicious musical entitled Mariette, ou comment on écrit l'histoire. ‘Originally written by Sacha Guitry as a vehicle for Sarah Bernhardt, but ultimately rewritten for the benefit of his then wife, Yvonne Printemps, and himself, Mariette presented its star as a 100-year-old actress recalling her past to a journalist. Since her past is not quite what she would have liked it to have been, she improves on fact, and invents for herself a romance with Prince Louis Napoléon (Guitry). 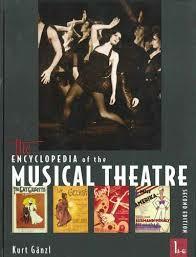 Her tale of that non-existent romance makes up the remainder of the show’ (Encyclopaedia of the Musical Theatre). Yes, ‘history’ is not a precise science, and it can be invented with ease. Read, as I once did, the reports of the Battle of Marathon written by the Greek historians and the Persian ones. You would think each side won by a clear five goals. No penalty shoot out! Why these musings? It’s that wretched Black Crook thing again. 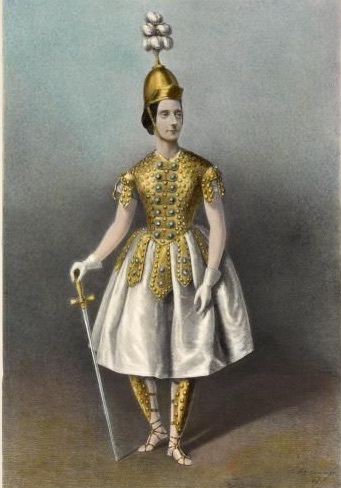 The world of theatre history is gradually coming round to realising that ‘received knowledge’ on the subject is a lot of bunkum – I notice that the Wikipedia article on the subject has been recently updated – but it is a hard job convincing folk that old lies are just that: lies. Some ‘Mariette’ has done her or his job effectively! Again, by whom? Have these folk READ the hotchpotch that passes for a libretto …? Unifying balderdash. 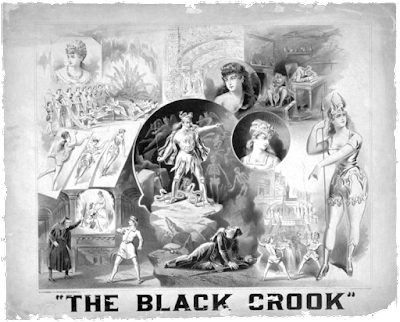 The Black Crook was simply a thrown-together imitation of the French opéra-bouffe féerie, lots of nubile teens in short skirts, a bit of melodrama, and – above all – lashings of moving scenery. Anything less ‘unified’ it would be hard to find. It was a virtual variety show, with an ageing British music-hall singer, equipped with a song from home, as its topbiller. Well, at least my 20 years of trying have, nowadays, got quotes around the ‘first’. But why are writers so determined to pretend that the show has any such significance? Folk do love a ‘first’. In Britain, The Shop Girl got the label ‘the first musical comedy’ pasted to it. And when that got set to rights, I came along positing Burnand and Musgrave’s Windsor Castle as the starting point for my British Musical Theatre. In America, phony ‘firsts’ have got attached to pieces from Showboat to ‘the Princess Theatre musicals’. But, mainly, alas, The Black Crook. So, how did it happen? How did this bit of facile ‘first’ nonsense gain currency? Well, I’m afraid we historians have only our own kind to blame. When, first, Gerry Boardman and, then, I, took to the subject seriously, in the 1970s, there was very little literature on the musical theatre about. France had the still unsurpassed Florian Bruyas, Hungary, Austria and Germany had produced agreeable books, but England? Nothing. America? America had begun. Dear, departed Stanley Green was taking the first important steps towards putting America’s show history in order. But the problem there was the ‘American’. America in isolation. Which it wasn’t. I’d estimate 90 percent of Broadway produce of the mid-19th-century was ‘foreign’. And ‘Broadway’? The USA is wide. New York was just another touring date for many companies. And the most internationally-successful American musical of the era came out of Boston. Stanley had quite a task, especially as research facilities in those days were nothing like they are today. So he had to fall back on the simplistic. And The Black Crook was pinned in place. In the 1960s, of course, the ‘long Broadway run’ had become the be-all-and-end-all of theatrical production. So, commentators looking backwards saw the 475 (?) performance run of The Black Crook, and without really comprehending, marked it with a white stone. From there, it was a short step to endowing the show with some – any – sort of significance. It wasn’t significant, it wasn’t anything but a skilfully staged bundle of bits, in a theatre wholly built for spectacular display, which happened to stay in that theatre for an unusually long time. Please can we adjust warped ‘history’: give the works of Maeder, Eichberg and their contemporaries their right due, and just refer to the Crook by its only rightful claim to fame: ‘long-running’. An 1860s Mousetrap or Fantasticks. Kurt, your rhetorical questions "By whom?" are unfair. In both cases, the source was cited, so you know by whom. You don't agree with them, but they are not anonymous. I'd love to see, collected in one blog, your timeline of the most important "first" and "next" book musicals (American or otherwise), and (briefly) how they led to the creation of the modern musical theatre.